In more and more schools, textbooks are being swapped for e-books that download and update learning content in real time. Students complete and submit all their work electronically via their device, and teachers mark student submissions and send feedback to students all online. However, while the school is revolutionising the way students learn and how teachers communicate and explain key learnings, research shows that students learn more effectively from print textbooks than screens. A 2017 study by two academics from the University of Maryland - professor of psychology, Patricia Alexander and Ph.D. candidate in educational psychology, Lauren Singer Trakhman, found that while students believe they perform better after reading on screens, their actual performance tends to suffer. “For example, from our review of research done since 1992, we found that students were able to better comprehend information in print for texts that were more than a page in length,” the researchers wrote. Alexander and Trakhman say that while there may be economic and environmental reasons for schools go paperless, “there’s clearly something important that would be lost with print’s demise”. “In our academic lives, we have books and articles that we regularly return to. The dog-eared pages of these treasured readings contain lines of text etched with questions or reflections,” they wrote. 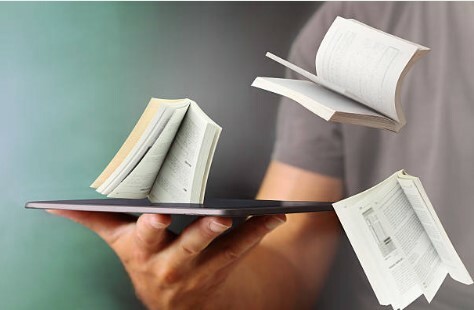 Alexander and Trakhman acknowledged that the march toward online reading will continue unabated but encouraged educators to consider the research before making decisions that could potentially impact student learning outcomes. “We don’t want to downplay the many conveniences of online texts, which include breadth and speed of access,” they wrote.